There is a very limited amount of street parking on Great Titchfield St, Little Titchfield St and Riding House St. 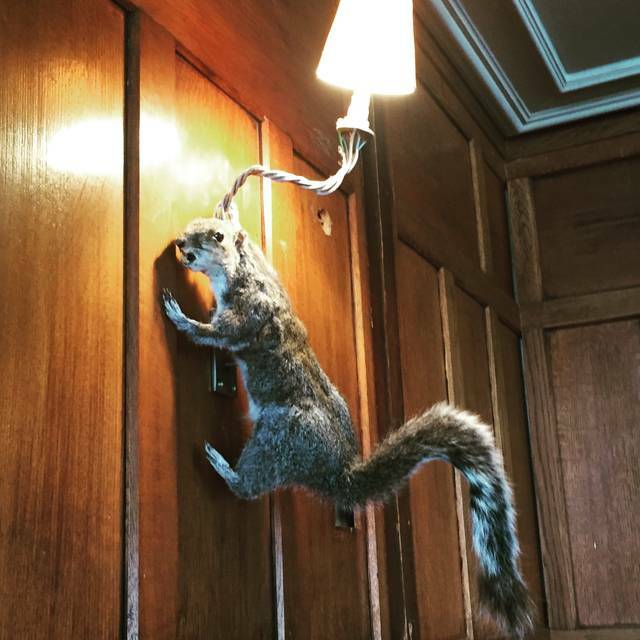 The Riding House Café is located a 5 minute walk from Oxford Circus underground and a 10 minute walk from Tottenham Court Rd. The restaurant is served by numerous bus routes within a very short walk. Boris Bike bays are located on Foley St. 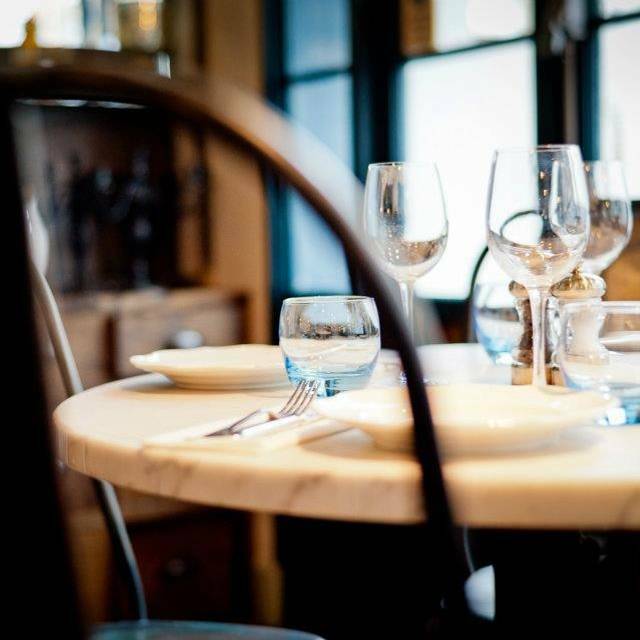 The Riding House Café is an all-day, fun and informal neighbourhood brasserie situated amidst Fitzrovia's creative and media community, split across a variety of areas to eat, drink, meet and socialise. A bustling canteen, more formal dining room and a relaxed lounge are all joined together by the large dining bar and open kitchen. 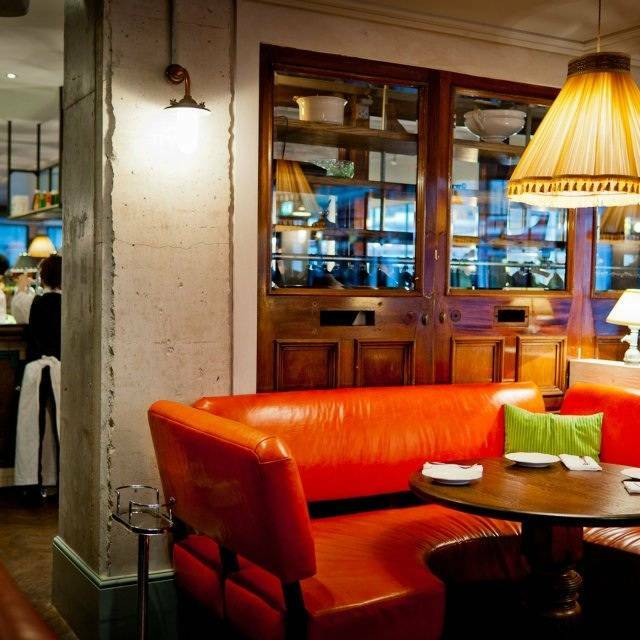 The predominantly Modern European menu features a range of small and large plates to suit any time of day. Dishes are wholesome, with an emphasis on fresh, light ingredients. The private dining room here boasts an original stable that was rebuilt downstairs to provide a cosy escape for 14 guests. Additionally there is the long refectory table in the dining hall for up to 20 and part of the lounge is available to book at the weekends for drinks receptions for up to 15. Food was good but some dishes were served slightly at colder temp than expected Service was great so would go again on the basis this was a one off experience. Ben was such a kind waiter and made our experience wonderful! Nicely set out restaurant with diners mainly spread along the building's windows, so it always feels very open and comfortable though music was a little loud and too energetic for an early evening meal. Food and service good. 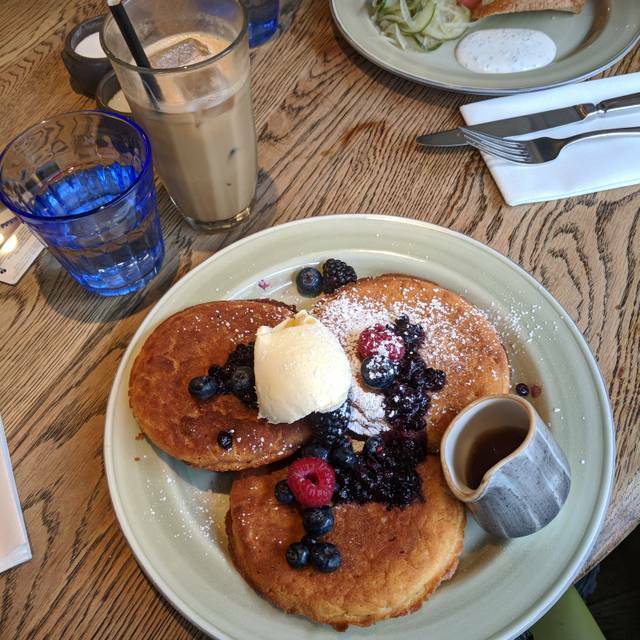 Great service and a nice atmosphere but sadly the food was very average.. my poached eggs were cold..pancakes were like hard cakes.. shame as location is good. Classy place, great looks, friendly ambiance, nice neighbourhood. Very commendable for informal meetings. Great food, good service and an enjoyably comfortable ambience. Love the place, food is fresh, awesome oats cappuccino, lovely ambiance. Quite pricey. Great experience overall. The food was excellent. The only downside was that the room was very loud. Mostly due to one group of diners who felt the need to shout. Great spot in Covent Garden, but exceptionally loud. I could barely hear my two friends over the noise. Portion sizes were on the small side too. Delicious food in a quirky cool setting. Staff were super efficient. I've been here a number of times for breakfast. It is good quality food and service in a relaxed environment. Been here many times and still a great casual venue with fabulous food and flavours. Lovely service especially the front of house gentleman. Nice food, nicely presented and pleasant place to sit. We went for brunch, great choice and lovely food plus they cater for gluten free!! It was my husband Birthday and we have been looking forward to roast lunch which we had there before and it was really good. This time we have been informed that there is not roast beef or chicken at 2pm which was very disappointing. I don't understand how they can run out of roast lunch on Sunday so quickly. Even the waiter said that there was 8 portions of roast lunch available 1pm which sound such a small number of portions for that size of restaurant. We had choose another option form menu which was good but I must say this Birthday lunch was very disappointing. We had made special trip especially for their roast lunch. I would only go only back if I can be guaranteed that there will be sufficient amount of roast lunch available. I think they need to work out their portion numbers! Pretty-much heaving at 2pm on a Saturday -- there's a reason this place is so popular: good food, good atmosphere, and pleasant surroundings. It's a tried-and-tested winner! Great menu - had truffled portobello and sweet potato wellington which was delicious. Lovely ambience (but a little loud in the evening), good location and friendly staff. Great food, friendly staff and lovely atmosphere. Would highly recommend the French toast and hollandaise eggs. 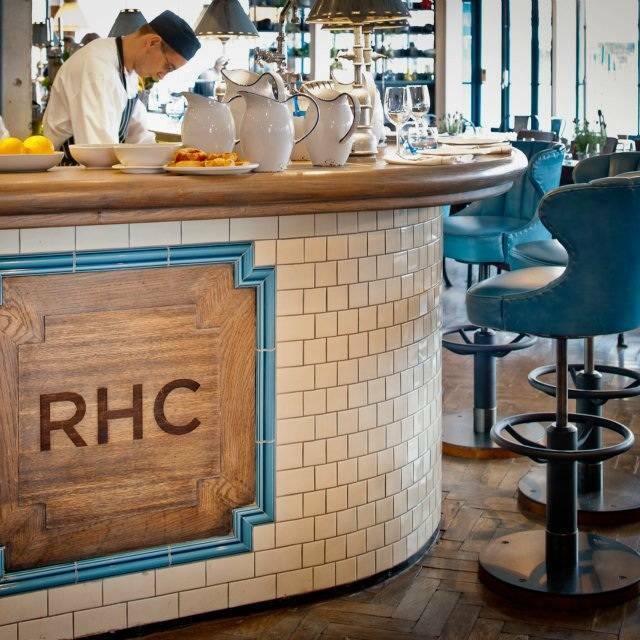 Impeccable as ever - from accommodating front of house to the consistently brilliant service and food, RHC never gets old. Was really excited to try this cafe, however the food was something below average; I ordered a salad and was sold old, soggy, lettuce and watery dressing. To make matters even worse, the cafe over-charged me. I was told the price, the server took my card, tapped it contactless and did not offer me a reciept. I didn’t think much of this at first, but when looking at my bank account later, I was over-charged almost £2. I contacted the restaurant and recieved no response. Taking money like that is absolutely deceitful. I will not be returning. They ran out of roast beef on Mothers' Day, the one thing the mother wanted. And then used the fact that it was Mothers' Day as the excuse. The food overall was decidedly average. Really great service by all staff. Delicious food. Great location. We weren’t hurried at all, even when we stayed a few mins past the 90min we had allocated. As we arrived and waited for our last guest to arrive to the table we were told that we had an allocated slot and had to leave in 2 hours which didn’t make us feel comfortable. We ordered a few starters and two of us got sick due a bad piece of seafood. Overall experience not great. Won’t recommend. 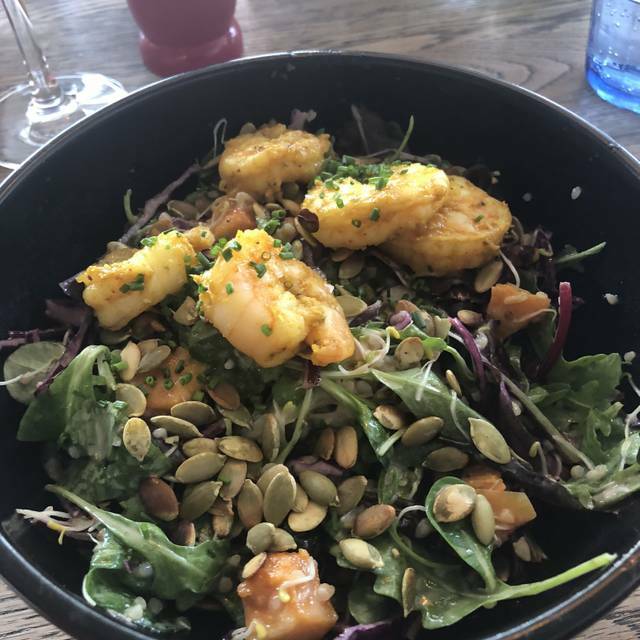 Food was below average and bland, the salad I had was completely dull. The waiter checked back and we told him we were disappointed but he made no comment at all. Ambience is very relaxed, we went on a Sunday for brunch, it was quite loud. Food is very good, classic brunch menu and very tasty. Service was a bit slow but on a. Sunday lunch timr it was probably understandable as it was busy. Place was as busy as ever but the quality of the meals was slightly lower than the last few times I’ve been. Still remains a go to brunch place but may need to try other quality options in the area. Some of the staff were charming. Some were not. We ordered post brunch coffees and were then told to leave the table swiftly after their arrival because the next sitting was waiting - don't let us order coffee then. We were also not told there was only an 1.5 hour time slot. the toast was cold but this was replaced with fresh toast when asked but it should not have been served. Loved our recent dinner at the Riding House Cafe. The food was lovely, ambience was buzzy and service was good and helpful. There was a hen party in and were a bit loud, but they were having a good time. I return here again and again. The place is comfortable and relaxed, with a good atmosphere. The food is reliably good, too. Really wasnt impressed with the food. The Pancakes were chewy - how pancakes can ever be chewy vs fluffy melt in your mouth defies comprehension. I also had the "burgerdict" which was tasteless. The poached egg was also put on the side instead of on top of the burger or muffin (which was also really thick) which meant the yolk pooled on one side. My friends dishes were equally unmemorable. The service was also spotty. I ordered a drink and had to chase someone before it arrived 20 mins later, only to find out that they billed me twice for it. Second visit, great place to have breakfast or brunch. Food’s wonderful and great service. We like to visit when we are in London. 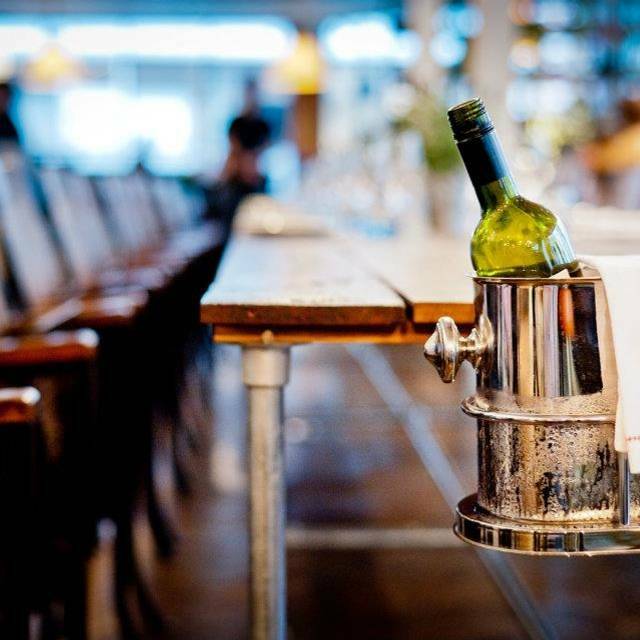 Booking a table is the smart way to go, it can become quite busy. The buttermilk pancakes even got better from the last time we’ve been! 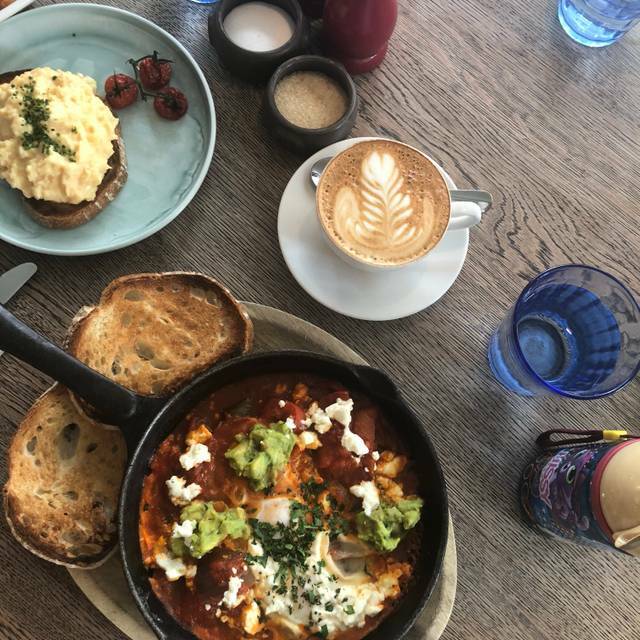 The Shakshuka was spicy and so tasty, definitely recommend if you like spicy breakfast that fills you up real good!